There’s no shortage of almost identical IP cameras out there, all offering day and night surveillance with easy access via a mobile device, but there aren’t so many models capable of making 4K quality recordings. 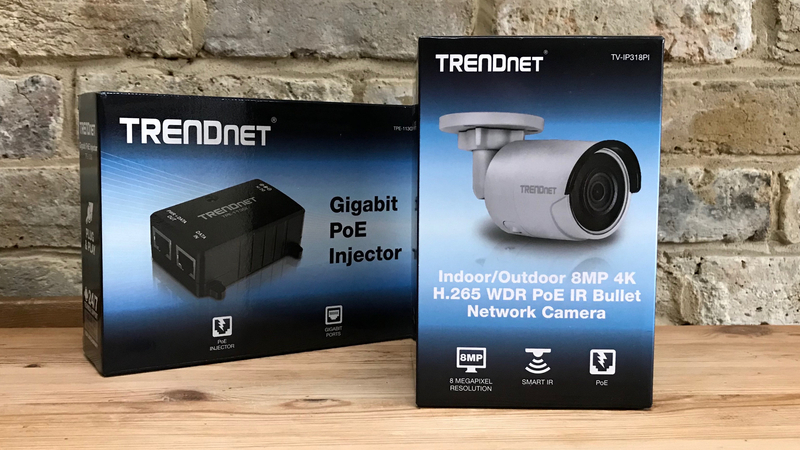 By capturing four times as much information as a 1080p device, the Trendnet TV-IP318PI has a real edge, revealing detail that could potentially be very useful. 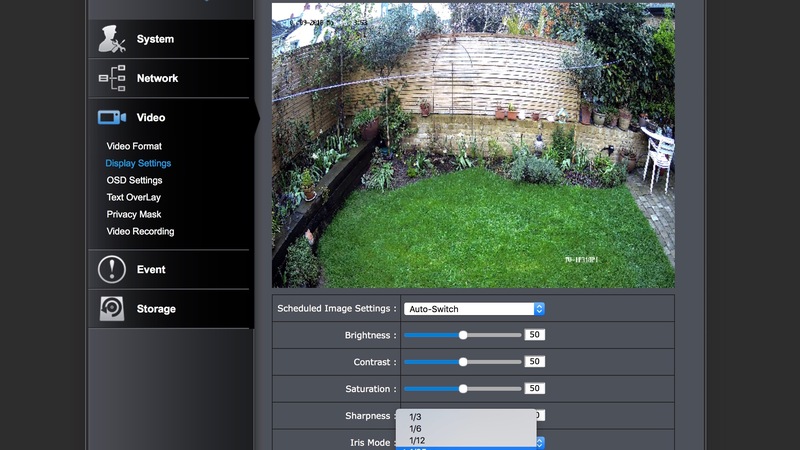 At £200 (around $285 or AU$365) it is rather expensive for a network camera, and recording in 2160p takes up more space on a hard drive, all of which raises the question: do I really need to view my security footage in ultra-high definition? 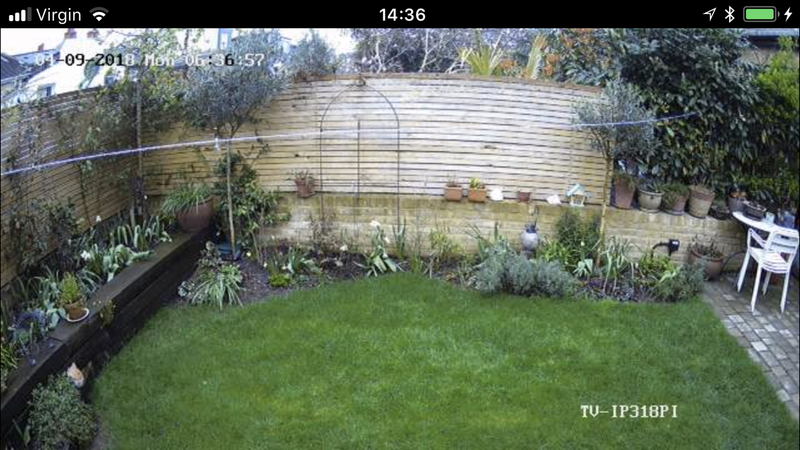 The bullet camera casing of Trendnet’s TV-IP318PI is made of steel and is weatherproof to IP67 regulations. The ball-and-socket hinge and wall-mounting plate are also metal and the whole thing feels strong enough to survive outdoors. It’s quite compact and could just as easily be located inside, although its pale grey livery is unlikely to match the office decor. You can only just about make out when it is switched on and active, from the faint red light beside the lens, because the infrared LEDs are masked. After-dark intruders will not be able to see the ring of IR LEDs around the lens, even though they are strong enough to reveal objects 30 meters away. At the rear is a single lead that splits into an Ethernet cable supporting PoE (Power over Ethernet) and a power input in case you’re not set up for PoE and need to add a power adapter, which is not included. Look underneath and you’ll find the bolted compartment guarding the microSD card slot, which allows you to record up to 128GB of footage locally. 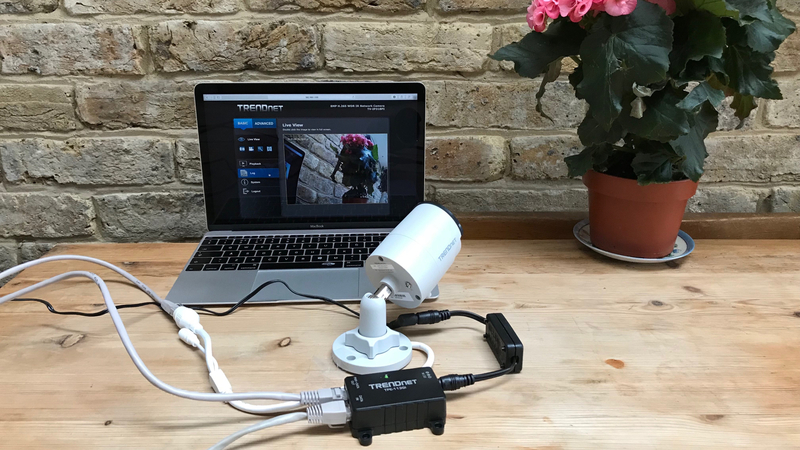 Trendnet’s high-spec camera uses a fairly large 8MP sensor to record 2160p video at 20 frames per second onto a NAS drive, an FTP site, or a microSD card. The H.265 format that it uses is quite compressed, but if you think 4K is overkill for around-the-clock recording, then you can of course reduce the resolution and fit more on your NAS drive. It’s worth noting that you can’t stream live UHD quality footage to your phone – the resolution is automatically downscaled to 720p. Behind the black glass there are motion sensors too, which means you can program the camera to record only when it is triggered by movement, and have an email alert sent to your phone. 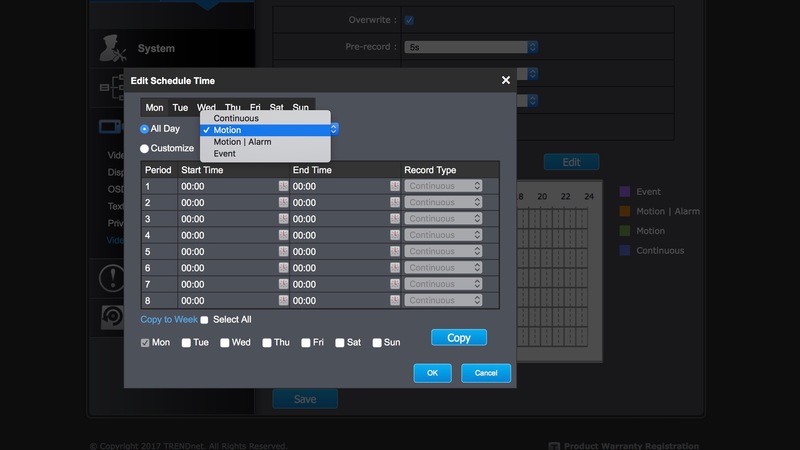 You can also specify which days, and at what times of day, you want the camera to be active. 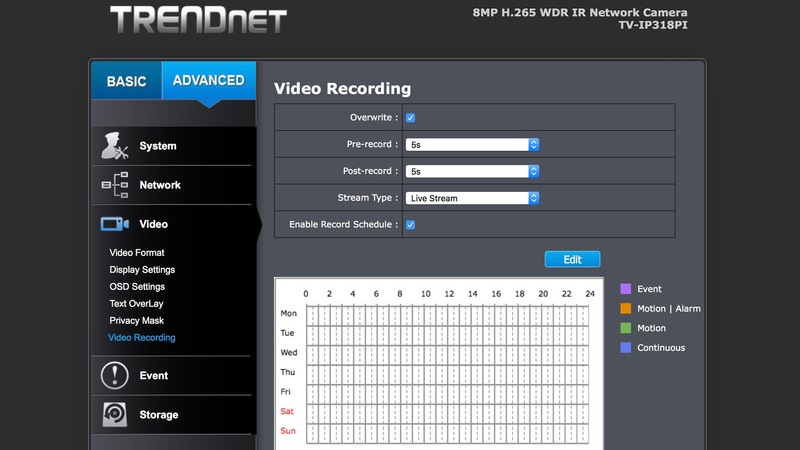 We had real trouble getting the Trendnet TV-IP318PI up and running and we wouldn’t describe it as user-friendly. PoE certainly makes the installation process easy, with only one cable to connect (there is no Ethernet cable in the box by the way), but we found that none of our routers were PoE compatible and therefore, a PoE injector was needed. This makes the installation considerably messier, not to mention more expensive – the injector (pictured above) costs around £22 (around $31, AU$40) – so check your own router first. The companion app for iOS and Android, called Trendnet IPView, is fairly new, but it’s not very helpful in connecting your device with a Wi-Fi network. There’s no QR code to scan, for instance. Instead you have to find out the camera’s IP address yourself in order to register your username and password on a computer before you can access the camera via the mobile app. 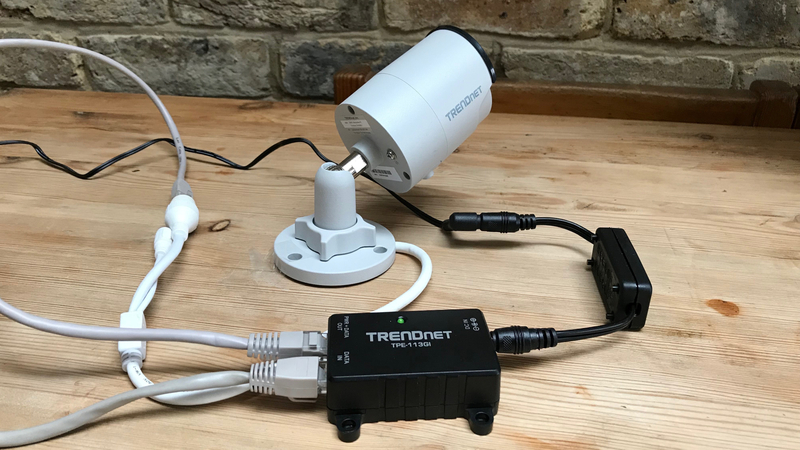 It’s the kind of thing an IT worker takes for granted, but anyone familiar with the latest smart cameras by Nest or Netatmo will be surprised and frustrated by Trendnet’s convoluted setup procedure. 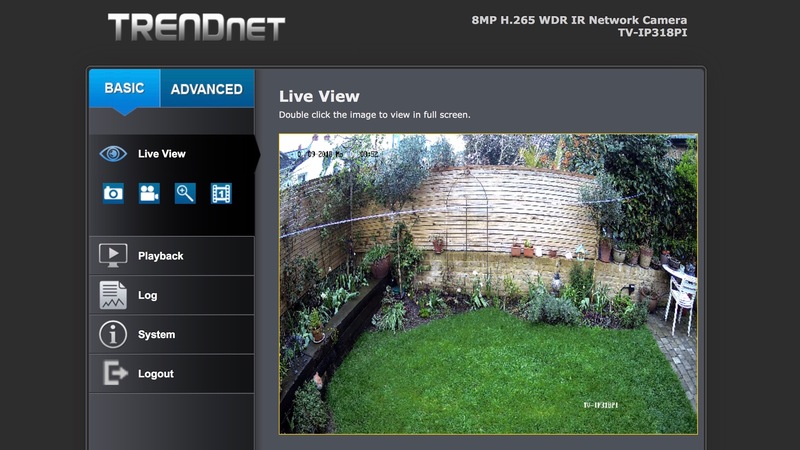 So, the Trendnet TV-IP318PI is not the easiest security camera to install, or use for that matter, and once set up, we found that the connection with the companion app often faltered. When this happens the picture on your phone is replaced momentarily by a ‘disconnected’ message, but more annoyingly, it stops recording to your device. In other respects, it worked smoothly, once we worked out how to set all of the preferences. The app doesn’t give you access to the settings for image quality and scheduling, so you have to use a browser and it’s not the most intuitive interface. When it comes to picture quality, the Trendnet TV-IP318PI has a distinct advantage. Its 8MP sensor is able to capture video at 2160p (4K) resolution, which means four times as many pixels as a 1080p camera. This is a big advantage if you need to be able to discern detail such as car number plates, or identify faces. 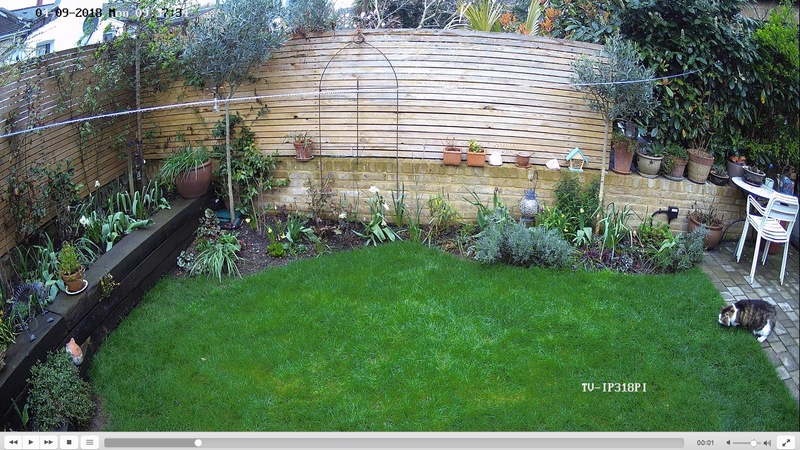 For example, we were able to zoom in on the recording of a cat that visited the garden we were surveying to see whether or not it was wearing a collar. Most security cameras are unable to resolve that kind of detail. But is that level of resolution really necessary? Streaming video at 4K is problematic and the highest quality this camera can live stream is 720p. Most people agree that to see the advantages of 2160p over 1080p, you need a fairly large 4K screen. With a modest-sized desktop monitor, you might not see much of a difference. And as mentioned, even with H.265 compression, 4K video takes up a lot more space on your hard drive than Full HD. The TV-IP318PI feels well-made and is supported by an established brand. The PoE connectivity makes for a neat installation and there are undoubtedly situations where the extra resolution is a real advantage. If you view your security footage on a 4K monitor, then this is the camera you have been waiting for. 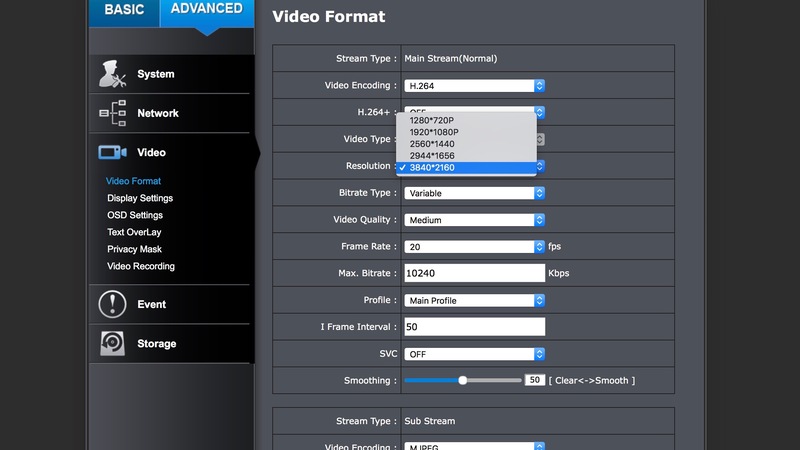 However, the user interface and companion app leave a lot to be desired, and the problems associated with streaming and storing 4K video could outweigh the benefits of the better image. Honest Vital Reds Review: Does The Supplement Work?